Howdy everyone. I am late on this as with everything thanks to that week of crappy illness. 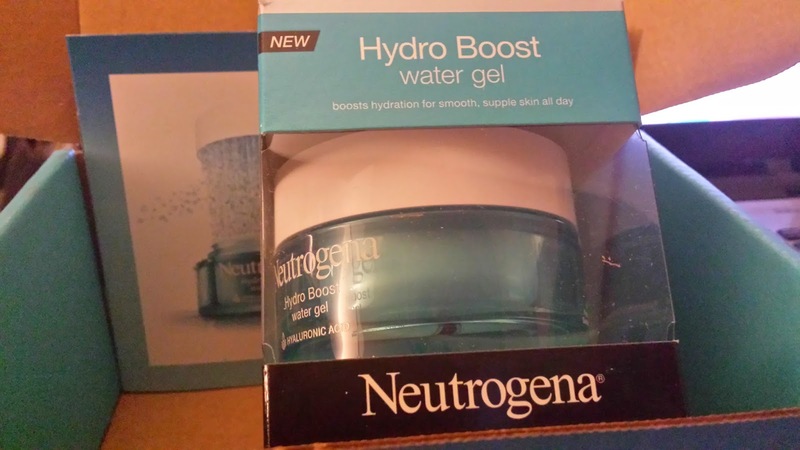 I received a sample of Neutrogena Hydro Boost to review from Influenster.com. Y'all know I love the free stuff and Influenster so this was a win for me from jump. I wasn't sure how big the box would be but when I opened the box up the first thing I saw was this card. 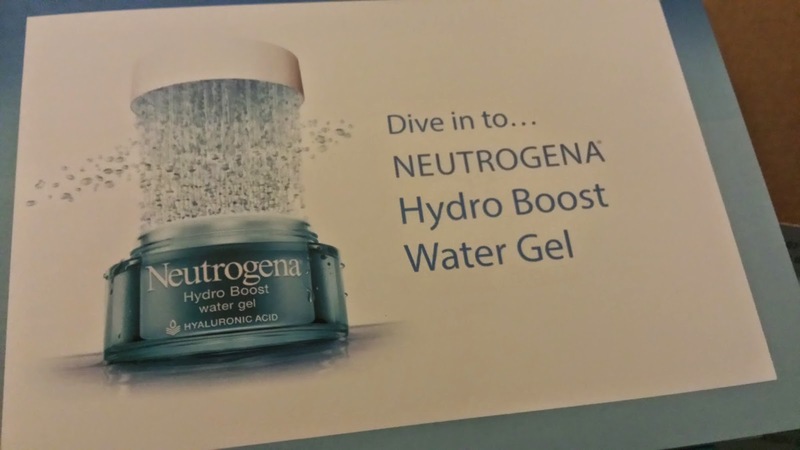 For some reason I was being stupid or slow or something because even the image of the water didn't make me think of how the product would feel when I put it on my face. The packaging itself is cute. Pretty sturdy which I would know because I accidentally dropped it. I followed the directions on the package and waited until I washed my face and went through my normal routine before I put this on my face as its more of a moisturizer finishing kind of step. 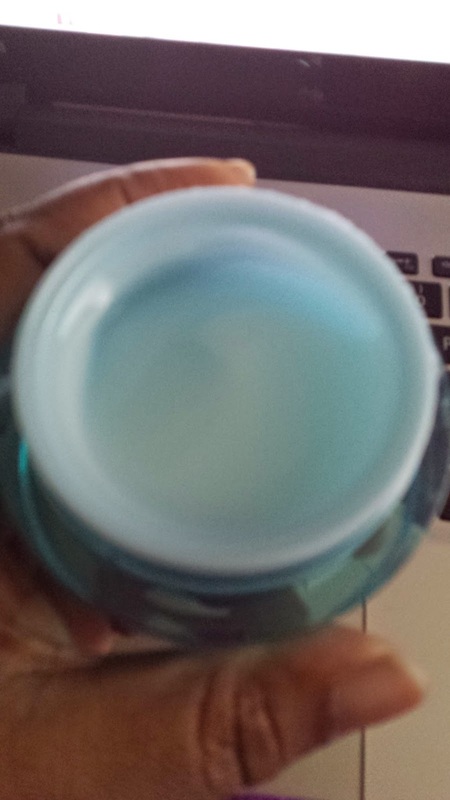 The product looks much thicker than it actually is when you apply it. It looks more like water now that I'm looking at the photo again. I mean the color not the texture. It looked smooth and it smells great so I was excited about what it would feel like on my face. Initially it felt kinda oily which was weird. I think I just wasn't anticipating that it would be so slick on my face. Immediately after that though my face felt like it was a little tighter and my skin was a little smoother. The only thing that was a downside to the product for me as compared to my Clinique product was there's no SPF listed as being part of the product. I'm not outside all day so it's not as crucial but it would definitely make a good product better. You don't need very much of it to cover your face which is also a plusand it does feel very intensely moisturizing. However, if you don't like strong--albeit pleasant--smells this could be a negative for you. It mostly disappeared by the time I was done with my first class about four hours after I put it on but if you are hypersensitive to smells that could be a long time. This could be an ideal winter product though because my skin never felt dry while this was on and the winter wind can be a bear. All in all this is a good moisturizer and if you don't need an SPF rating on it you should definitely give it a shot.